Thanks for giving Final 500 Records your trust. We appreciate that a lot. That’s why we see it as our absolute responsibility to protect your privacy. By means of using this website, you will agree with our Privacy Statement. For a description what this entails, please read below. When you are using our services or purchase one of our products, we will ask you for your personal details. We will use these details in order to complete your purchase and ship out the product as soon as we can. Your details will be stored on the encrypted server of our host. In case you reach out to us via e-mail or social media, it is possible that your messages will be stored. We will gather personal information strictly for purposes related with Final 500 Records, our products or services. In case we do want to use your contact information for any other purposes, we will notify you up-front and ask for your explicit approval. We will not sell, share or rent your personal information to any third party or use your e-mail address for unsolicited mail. Any emails sent by Final 500 Records VOF will only be in connection with the provision of agreed services and products. Everybody who places an order on this website will receive access to a personal account. By logging in, you are able to adjust your personal information (e.g. shipping address). You can also drop us an e-mail and we will make sure to change your information in our records. We will send you occasional newsletter regarding the services we provide and the products we ship. Each newsletter will have the option for you to sign out and stop receiving these e-mails. 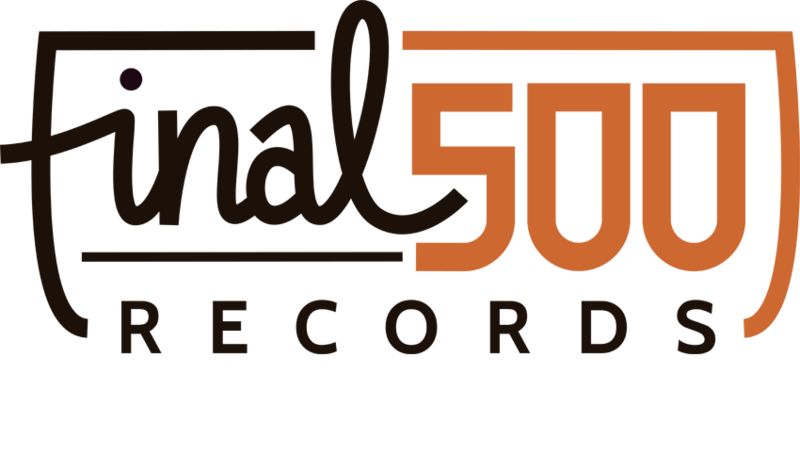 Wanneer je vragen hebt over dit Privacy Statement kun je contact met ons opnemen door een e-mail te sturen naar info@final500records.nl.